Looking for vacation away from the noise and buzz of the city? 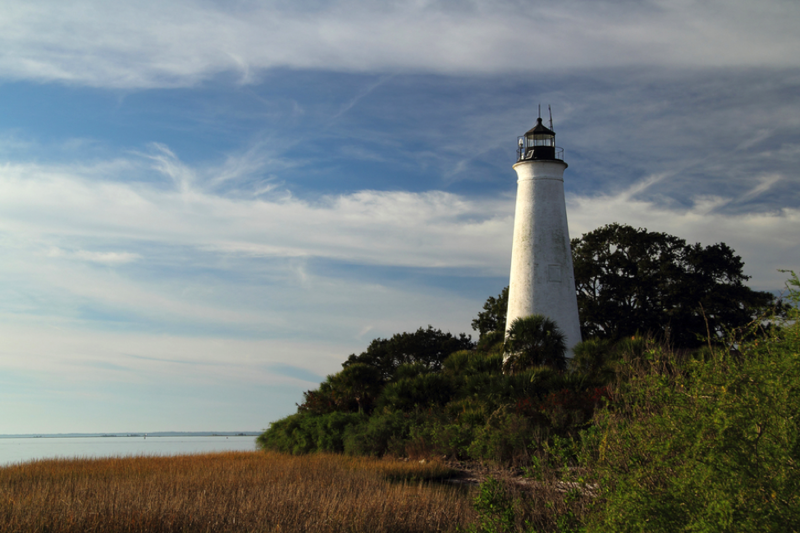 Visit Wakulla County! There are so many great ways to spend your time in Wakulla. Here’s a quick guide on how to have a great Wakulla weekend. Come on in and get acquainted! The Wakulla County Welcome Center in Panacea is the best stop to receive maps, brochures and advice from our local experts. 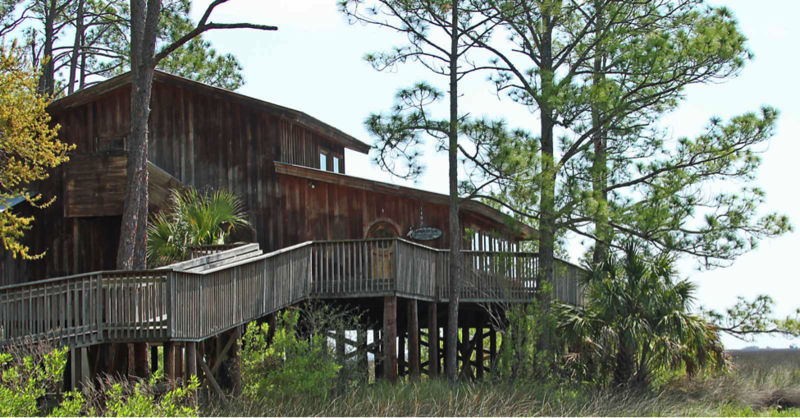 Step outside to the deck overlooking Dickerson Bay and experience a panoramic view of the sky, forest and sea as the warm Gulf breezes blow your cares away. The Welcome Center also includes classic photos from the past as well as historical displays such as the Waterman’s Display and the Coastal Art Gallery, which demonstrates what gives the county a special place in America’s history. Ready to get in on the action? 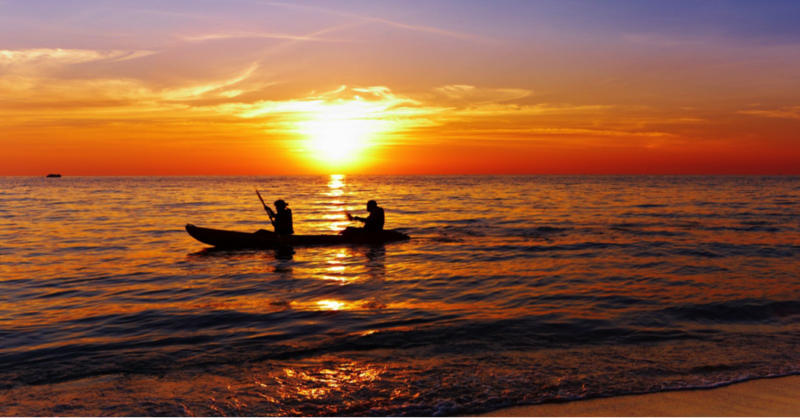 There’s no better way to explore Florida’s beautiful Gulf Coast than by kayak. The 105-mile historic paddling trail gives you a front row seat to diverse marine life and stunning seaside views that make Wakulla County such a dynamic natural habitat. While under the expanse of the wide open Florida sky, hugging the coastline, paddlers will encounter an amazing array of bird and marine life, such as white pelicans, bald eagles, ospreys, sea turtles, manatees, small sharks, rays and many more. Make sure to have a nice big breakfast at one of the local spots before heading over to explore the St. Marks National Wildlife Refuge. Filled with rich cultural history that goes back 15,000 years, the 17,000 acres of wilderness offer numerous trails ranging from easy and family friendly to longer more difficult trails for the ‘Thru Hikers’. Not a hiker? There are plenty of other ways to experience the Wildlife Refuge, such as horseback riding and bike trails. Despite the different routes, you’re able to enjoy wildlife observation from all areas, but don’t forget your trail map! A perfect view where freshwater meets the saltwater of Apalachee Bay, ideal for some laid-back fun. Walk the sandbars at low tide to spot dolphins as they navigate the inshore waters, or perhaps even glimpse a vivid pink Roseate Spoonbill on their leisurely shores of Mashes Sands. Ochlockonee Bay is home to the famous Angelo and Son’s seafood restaurant. Don’t miss out on their specialty seafood favorites and steaks. 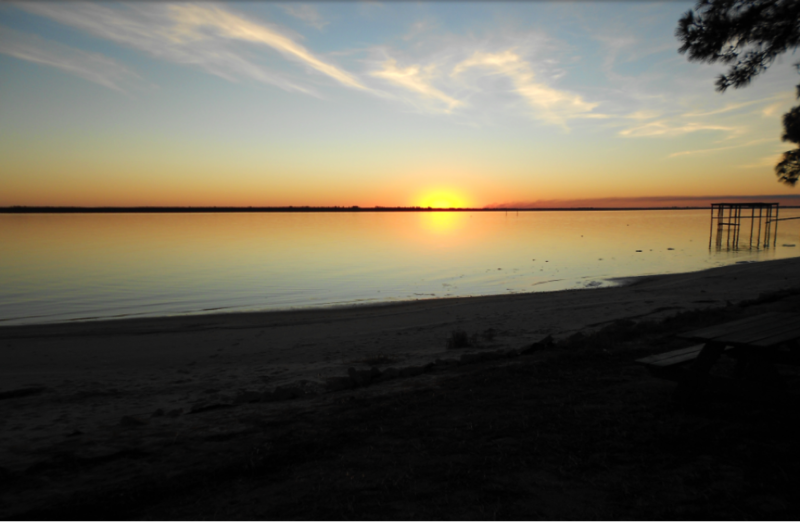 The Ochlockonee Bay is known for producing some of the most picturesque sunsets anywhere in Wakulla, so be sure to relax after dinner and take in the view. Celebrate aquatic life. 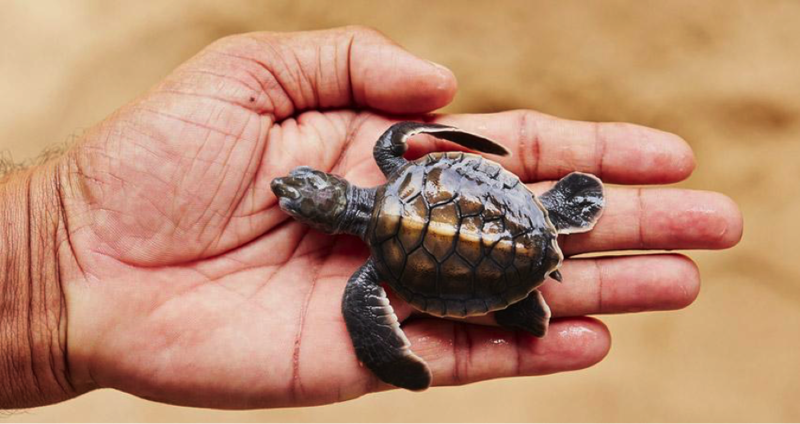 With its expansive coastline nestled directly against the Gulf of Mexico, and its proximity to numerous rivers, streams, it’s easy to see why the aquarium is right at home in Wakulla County. Get an up-close view of local marine life at this friendly non-profit aquarium that boasts the largest array of touch tanks in the continental United States. Unlike most large public aquariums, this facility showcases the unique and wonderful living treasures of the wild North Florida Coast. For an even more memorable experience, try a guided tour. They are designed to give you a look at the inner workings of the facility. Customize your tour with several options available, such as excursions to the living dock or the marsh in the surrounding area. Wakulla County is full of incredible wildlife and rich Florida history. Use this guide as a springboard as you plan your trip to Wakulla. Visit our accommodations page to learn more about our hotels and bed and breakfasts.